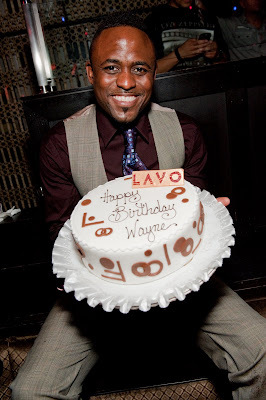 Sunday night at LAVO inside The Palazzo, entertainer Wayne Brady celebrated his 37th birthday. The night began with an early dinner before his show with a group of 15 friends. Post show he returned to the nightclub with a group that had doubled in size. Cast, crew, friends and family all toasted Brady with cake and cocktails. DJ Vice topped off the party with birthday shout outs and played several songs from Brady’s CD. 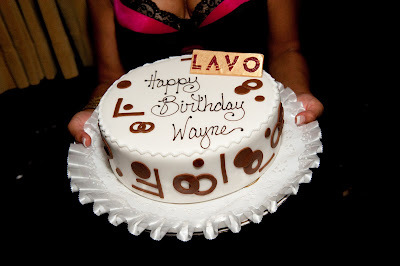 Also spotted at LAVO, soccer players Joleon Lescott, who plays for Everton and Wayne Hennessey, goal keeper for the Wolverhampton Wanderers in the Premier League.